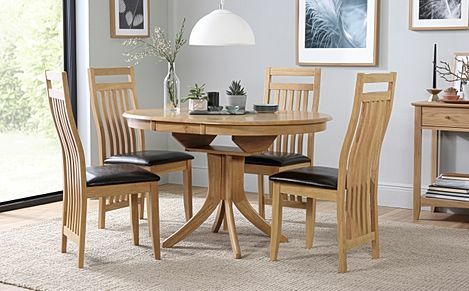 Carefully crafted and designed, a classic wooden dining set is versatile - great for either a rustic interior or a contemporary home. 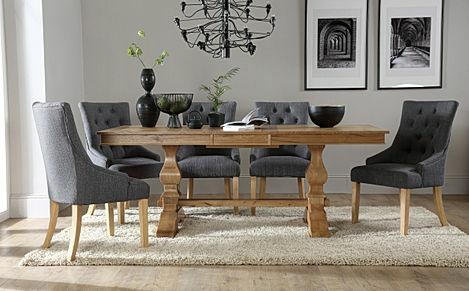 Solid, rustic and full of classic charm, a wooden dining set is a time-honoured centrepiece for a modern or traditional home. 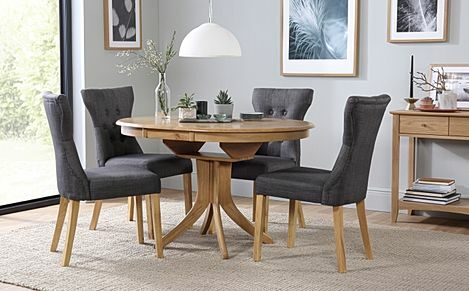 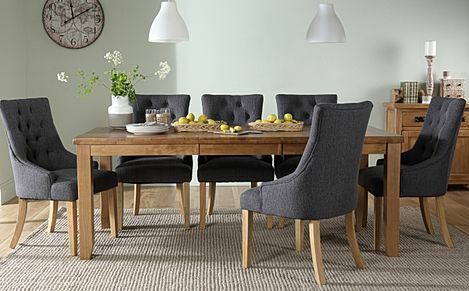 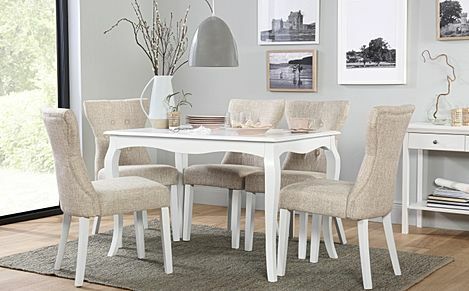 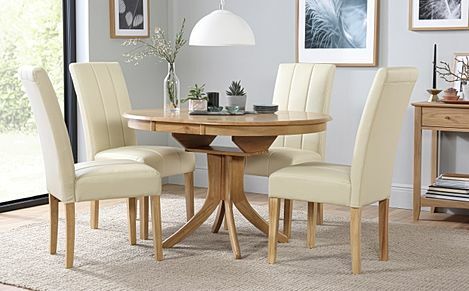 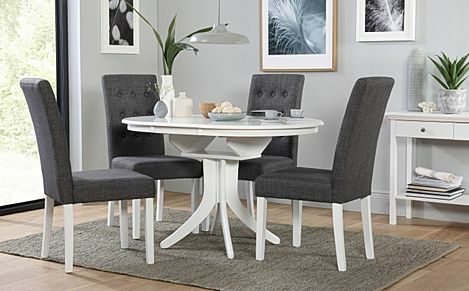 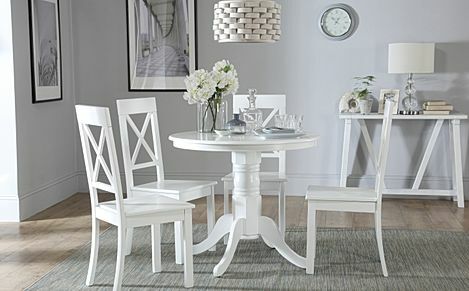 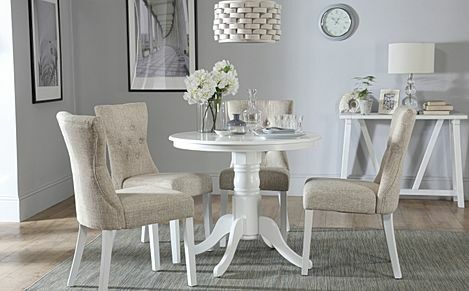 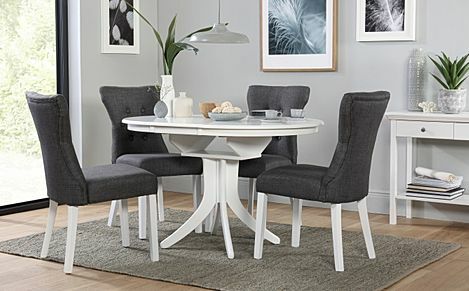 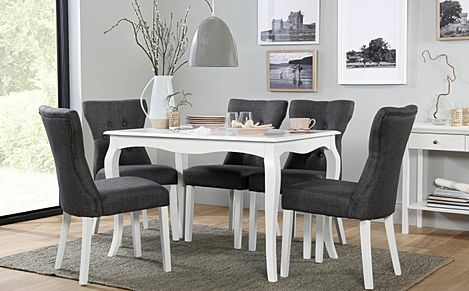 With a wide selection of dining tables to pick from, along with free delivery to most addresses in the UK, shopping with us is convenient and stress-free. 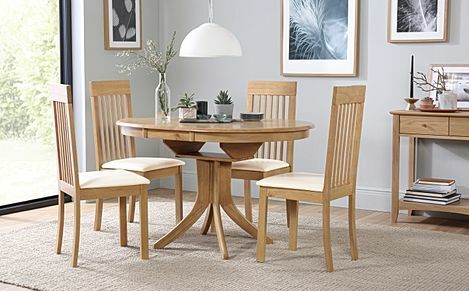 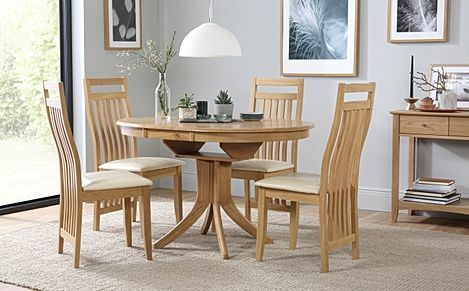 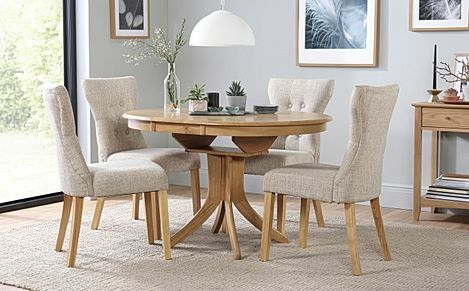 Our oak dining sets are timeless staples, and you can choose from round, square to oval tables, depending on your preference. 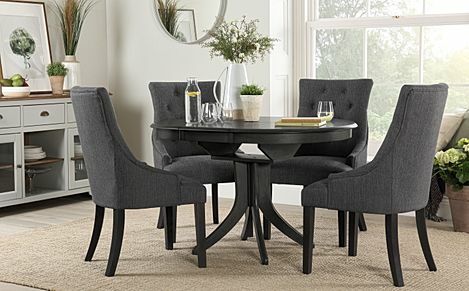 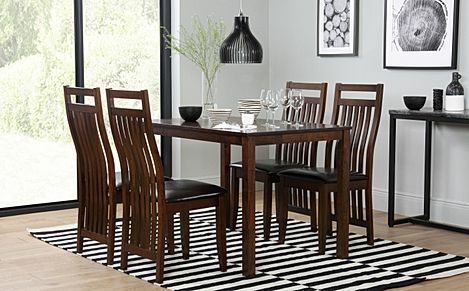 For a striking contrast with a touch of old Hollywood glamour, one of our dark wood dining sets will make an ideal addition. 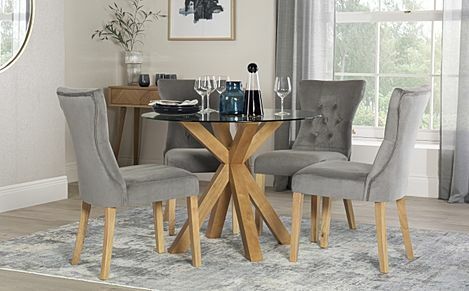 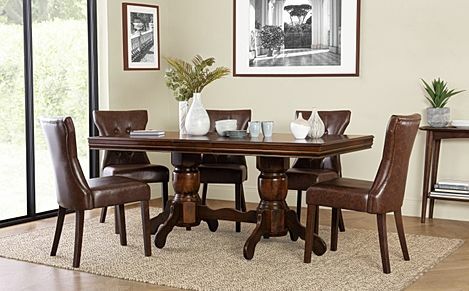 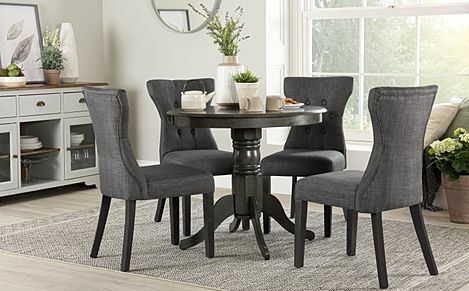 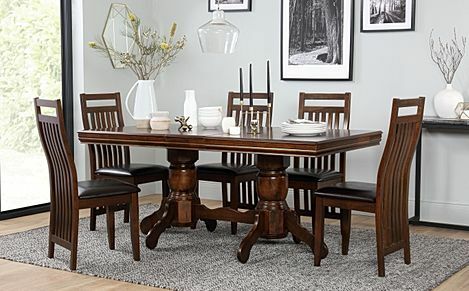 And if you're big on rustic details, consider one of our hard wearing pedestal dining tables for a finely crafted dining space that looks good, and designed for modern living. 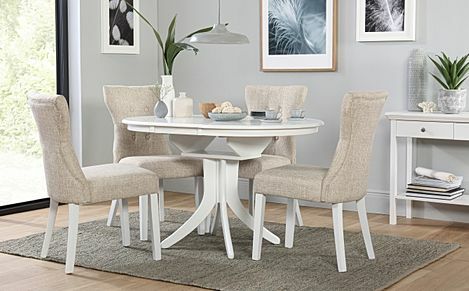 Alternatively, you can also check out our range of extending dining sets for practical designs that effortlessly lengthen out for more seats. 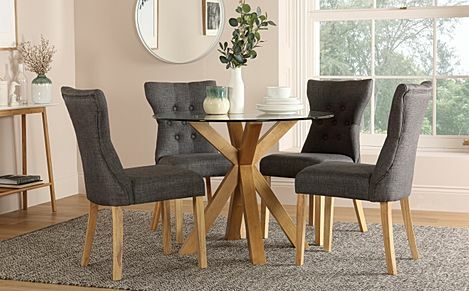 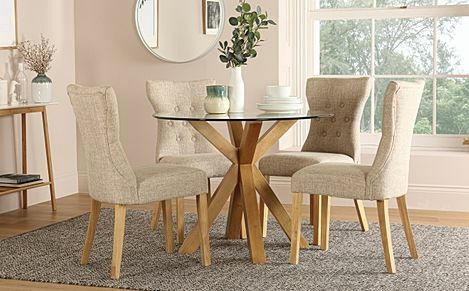 If you're looking to complete your table with a new set of dining chairs, browse our wooden dining chairs to find a set that suits you best. 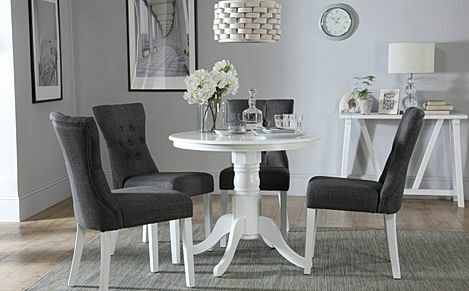 We have got sturdy options from classic slatted backs, to sophisticated tailored seats that offer both comfort and style. 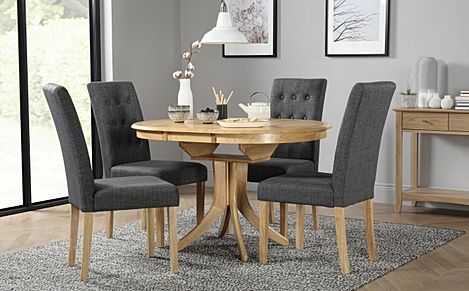 Ordering from our website couldn't be simpler - just pick your preferred wooden table, and select a payment option before choosing a delivery date at checkout.